Toffee Tin, Nut-T-Corn Tin, Box of Lurtles, 6 oz. assorted Bark, 4 oz. 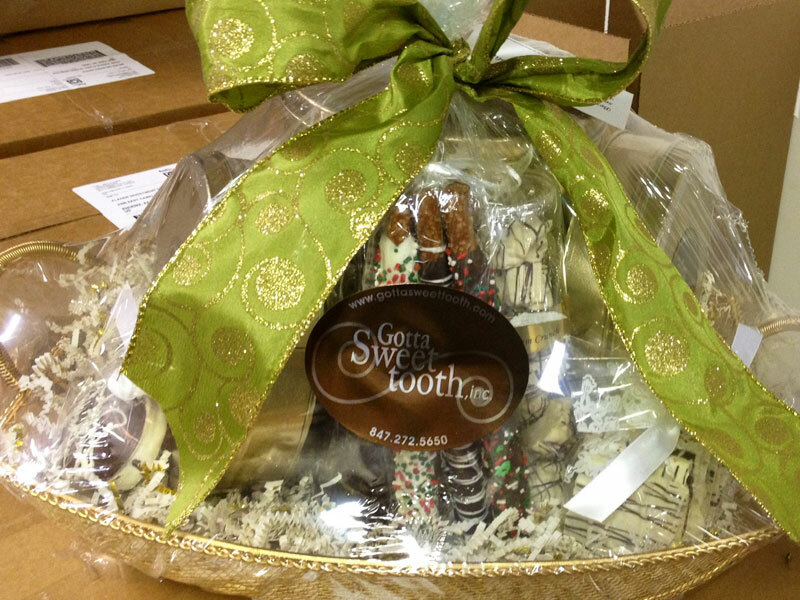 assorted Nut Clusters, 2 Smores, 2 Chocolate Covered Oreos, 2 Dipped Pretzel Rods, 6oz. Dipped Apricots. Comes in gift basket wrapped in celophane with ribbon tie.